Hoag Levins is managing editor for digital publications at the Leonard Davis Institute of Health Economics (LDI), a center within The Wharton School at the University of Pennsylvania. LDI is Penn's lead facility for healthcare-related research, policy analysis, and education. Its 200 senior research fellows analyze the medical, economic, and social issues that influence how health care is organized, financed, managed, and delivered across the U.S. In March, 2013, Levins won the national Association of Health Care Journalists' top award for Health Policy Reporting in a small magazine for an article about automated external defibrillator (AED) deficiencies. Levins was previously web editor at Capitol News Connection (CNC) in Washington, D.C., a media company producing localized audio, video and text Congressional news coverage for public radio stations across the country. He is an accomplished digital journalist, web editor and online video producer. He has previously managed daily editorial operations of the CMS-driven news websites of Advertising Age, Editor & Publisher and APBnews.com. He set up and ran Ad Age's Twitter, iTunes and YouTube sites as well as its newsroom video studio. Skilled in HTML, digital photography, digital videography and video editing, Photoshop, Final Cut Pro, Soundtrack Pro, and related streaming video, podcast and graphics programs. He was editor of AdAge.com, the web site of Crain Communications' Advertising Age magazine, from 2001 to 2007. That year, he was assigned to design and oversee the physical construction of an Advertising Age video studio capable of producing various video news series covering the advertising and marketing business. Those included "3 Minute Ad Age," "About Digital Marketing," and "AdAge Video." 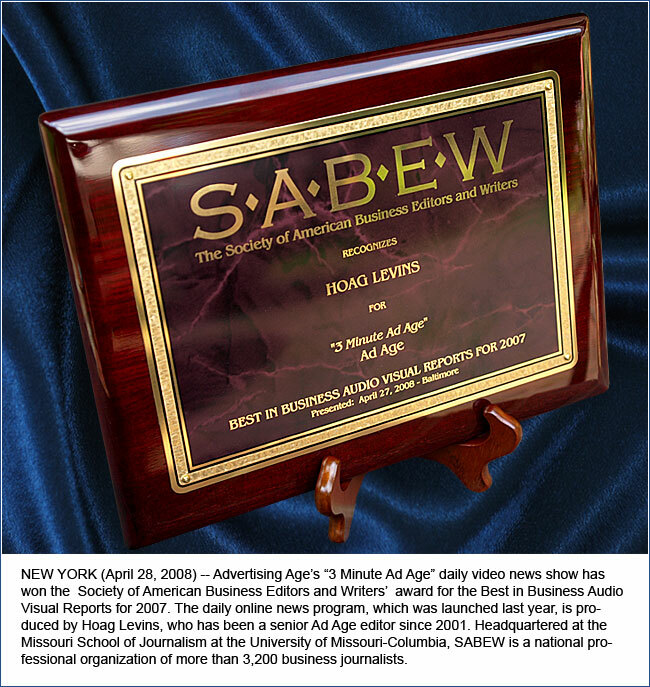 In 2008, "3 Minute Ad Age" was honored by the national Society of Business Editors and Writers as the year's best audio-visual work in an online U.S. business publication. Prior to joining Ad Age, Levins was the founding and executive editor of APBnews.com, an online national news service focused on crime, justice and safety. During the last quarter of 2000, APBnews.com logged about 24 million page views per month. 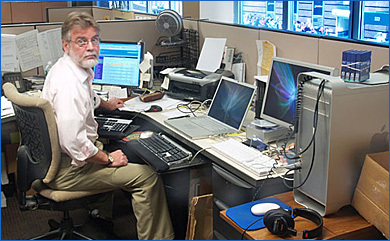 Staffed by journalists hired away from mainstream newspapers, magazines and broadcast news organizations, APBnews.com won seven major journalism awards during 1999 and 2000. Previous to APB, Levins was the executive editor of the Editor & Publisher company where he oversaw the editorial operations of Editor & Publisher magazine and web site. 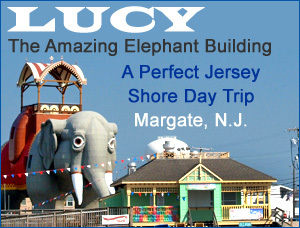 He is also the owner and editor of HistoricCamdenCounty.com, a news and feature service focused on history-related events, trends and people in southern New Jersey; HistoricFauxFoods.com, a commercial site about period-accurate faux foods for museums; NewJerseyDinosaur.com and Hadrosaurus.com that documents southern New Jersey's dinosaur; a Lucy Elephant site that documents Margate, New Jersey's historic Victorian elephant building; IndianKingTavern.com about Haddonfield, New Jersey's historic colonial tavern; and WhartonEsherickMuseum.com about the famed Paoli, Pa., sculptor. Levins has spent four decades in newspapers, magazines and book publishing. He is a former staff reporter for the Philadelphia Daily News, the Philadelphia Inquirer and the Courier Post of Cherry Hill, N.J. Served on the board of directors of the national Sigma Delta Chi Foundation for eleven years, is a member of the Society of Professional Journalists, the Online News Association (ONA), and the Association of Health Care Journalists (AHCJ). Levins has also authored or ghost written six nonfiction books on such diverse topics as the history of American folk songs, the changing patterns of female criminality, middle eastern oil politics and the history of the U.S. Patent Office. A U.S. Navy veteran of the Vietnam War, he attended Temple University in Philadelphia, Pa., and lives with his wife, Sandy, in New Jersey.